We’re taking today off to ease our busy schedules a bit! Strong Female Protagonist will resume regular updates next Tuesday, and here are some Alison drawings to tide you over (you can always find my most recent art on my Tumblr). What’s Alison’s opinion on Converse’s planned redesign of Chucks? I didn’t know they had that much history. If they’re smart they’ll keep selling the old model along with rolling out the new one. There will be people who would rather have the old ones just because of that history. That’s what they appear to be planning. Two words: “New” and “Coke”. Ugh, NOW? I was hugely anticipating today’s comic! What’s that around her neck in the last image? A scarf. I think it looks a bit off because she’s flying. 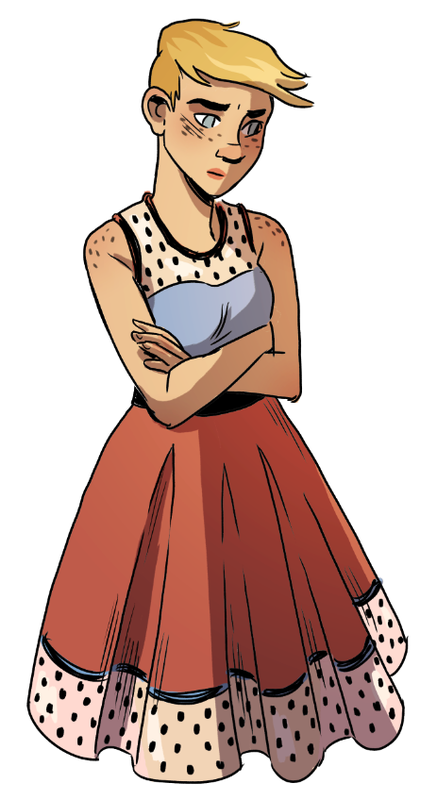 Maybe it’s like Lumberjanes and there’s actually been a ferret round her neck the entire time. Hmmm. Is Alison any denser than a normal person? I think she has made some pretty powerful impacts, (more damaging landings than a normal human would) which suggests that she is(though she can’t be too dense since she has never damaged a floor by walking on it). 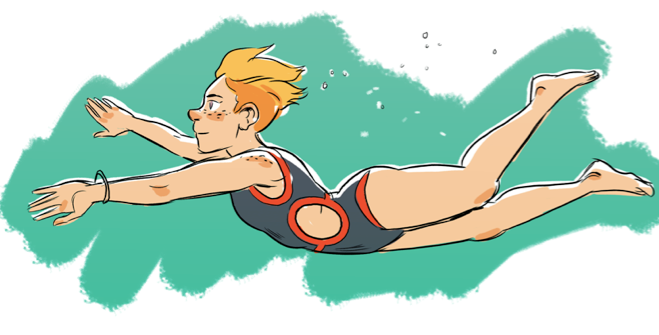 I’m just curious if swimming would be different for her than a normal person. 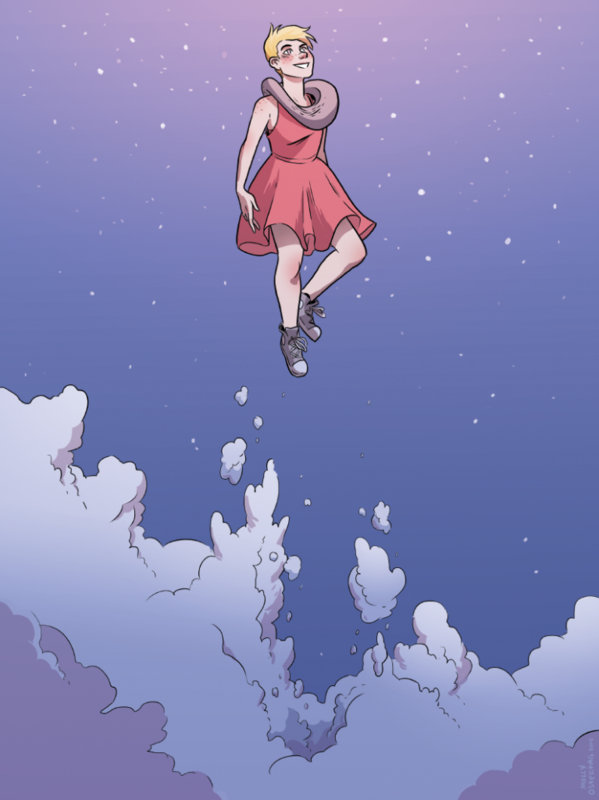 She’s high enough up (above the clouds) that nobody would be getting an eyeful unless they could also fly. Ah well, good luck with your workload ! I recall Emma Watasin’s Flying Girl from the old Action Girl comics wore skirts- and bicycle shorts underneath them.